I am bold to say the future of Nigeria is bright. Our current dispensation of democracy is under 30, but we are building institutions that are at par with those built by democracies that boast of centuries of experience with similar democratic institutions. One is tempted to question why older democracies, for that matter, tend to expect much from us, despite our fledgling democracy and budding experience at institution-building. But the high expectation is the more reason why we should pat ourselves on the back for what we were able to achieve in few recent years. Nowhere are such strides being recorded in superb ways than in our financial sector of the economy. And within the financial sector our ability to transform innovative ideas into formidable building blocks of accountable institutions is unparalled. Reference is here made of a financial idea we toyed with 10 years ago; an idea that our leaders and financial gurus thought would restore stability in our financial system during crises times and beyond and at the same time hold our financial institution drivers accountable. It is an idea that, by extension, seeks to breed the culture of transparency in the system, thus accentuating the desired confidence in our financial institutions by depositors and investors at home and from abroad. It is the idea of Asset Management Corporation of Nigeria (AMCON). Ten years ago Nigeria introduced AMCON, following the global financial meltdown of 2008, as an innovative idea of fortifying our financial institutions. One of the areas focused was the banking sector. Today, Nigerians are happier with the idea, as it has indeed stabilized the financial system and rescued them from systemic failures. It has ensured our depositors do not lose their hard earned savings; or their investors their investments. Socially the idea has saved thousands of jobs that would have otherwise been lost in the financial meltdown that affected the banks. AMCON may have some shortcomings, but that is expected of any new idea being experimented. But as AMCON grows in experience, such shortcomings are being addressed with perfect hands of a master craftsman. Before the advent of AMCON, accountability in the banking sector, particularly during crisis, was something else. Who will forget how Chief Executives and their boards have more often than not failed to undertake stringent investigations to determine whether there was negligence on their part that led to the collapse of the banks they were managing? At one time the collapse of banks became crooked ways of self-enrichment by the management cadre because there was no regime of accountability, while the system of oversight was weak and the framework for the regulation of their operations was equally weak. Under those circumstances, in those years, the victims were the trio of investors, depositors and workers. They looked on helplessly as their hard-earned savings disappeared in thin air while bank managers and their pampered borrowers were sighted again and again enjoying their ill-gotten riches. AMCON came and put an end to all that impunity. Three functions have come to define AMCON’s role, namely: financial stabilization of the system, takeover and debt recovery. Technically, AMCON’s objectives include assisting eligible financial institutions to efficiently dispose of eligible bank assets; efficiently manage and dispose of eligible bank assets acquired by it (AMCON); and obtain the best achievable financial returns on eligible bank assets or other assets acquired by it. Let’s take these messianic role of AMCON in more detail to better appreciate the good work the institution is doing for the nation’s economic development efforts under the able leadership of Malam Ahmed Kuru, a thorough-bred banker that knows his onions, its CEO. In this position, Kuru is leading a powerful team of professional to deliver on the mandate of AMCON. In just few years into its existence AMCON acquired about 13,774 Non-Performing Loans (NPLs) worth N3.6 trillion from 22 commercial banks to save them from outright collapse. Its provision of financial accommodation of N2.2billion protected about N4.7trillion of depositors’ funds and interbank takings; as well as saved approximately 14,000 jobs. Although the banking sector has received much of AMCON’s attention, one of the most celebrated takeovers by AMCON to date was that of Arik Air in 2017 in a fashion similar to how big banks considered “too big to fail” were saved by Government bailout in the US and Europe following the subprime loans bust of 2008, Nigeria’s biggest national carrier, Arik Air, was forced into receivership because it was considered too costly to allow it to fail with a whopping N300 billion debt overhang. Like other similar interventions by AMCON, especially in the banking sector, the Arik takeover was aimed atinstilling sanity in the country’s aviation sector to prevent a major catastrophe. Before Arik, AMCON intervened to save Aero, another airline on the verge of total collapse, with greater relief to the aviation industry. Debt recovery is another function that defines the role of AMCON. I once argued that the portrayal of debt collectors as reprehensible villains out to wreck the life of a struggling debtor—individual or a business concern—belong to the past. My reason is that over the years there has developed a body of laws to ensure fair dealings in debt collection in Nigeria and globally. 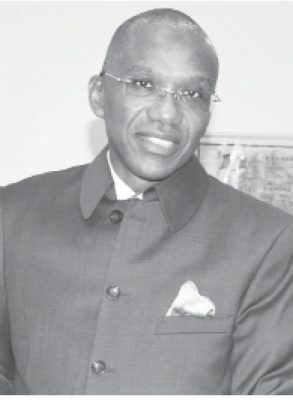 In discharging its mandate as poor these laws, disgruntled debtors have the tendency of portraying AMCON as villain in its effort to recovery its debt. I am aware that before a statutory body in the league of Asset Management Corporation of Nigeria (AMCON) is seen in open dispute with a debtor, it would have exhausted all options for amicable settlement of issues. This aside, if truth must be told, no company or individual is forced to borrow money in the first place. Ultimately, if companies owe a debt, it’s because they chose to borrow money. Their lenders made that loan, or offered the credit line, contingent upon a documented pledge to pay it back. This means creditors do have a right to their money, and a debt collector is simply trying to reclaim what is legally and ethically owed by the debtor. The debtors AMCON is dealing with are those that have passed through all the three stages of normal debt recovery process. They have failed to settle their debts with their initial creditor’s internal collectors (bank loan recovery teams) referred to as first-party agency, which is the first stage in the process. The second stage is when a third party is introduced playing the role of debt collector. The third stage is for the original creditor to write off the debt and sells it, which is where AMCON comes in. No one should lose sight of the fact that AMCON acquires the Non-Performing Loans (NPL) of the banks using tax payers money; so it is in the national interest that it recovers these loans from the debtors and to do so in order to return a profit on its purchase. To do otherwise is to short-change toiling Nigerian tax payers. This is the more reason AMCON collaborates with some firms that qualified as its Asset Management Partners (AMPs). The AMPs are consortiums with specialist skills required to ensure recovery and debt resolution; banking, legal, valuation and accounting. The move is AMCON’s strategy to resolve its over six thousand accounts with loan balances of N100million and below. Surely, in the last 10 years or so AMCON has played a savior role on multiple levels with regards to our financial system. It has saved our financial system from systemic collapse through bail out, bridge banking and outright takeover. It has saved strategic companies in different sectors of the economy from outright collapse and, in the process, saved thousands of jobs of Nigerian family heads who otherwise would have been thrown into unemployment. But, above all it has saved depositors and restored confidence of investors in our banking and financial institutions. Accountability has finally supplanted impunity.